Before Rihanna, Beyonce, Lady GaGa, WAH & more were making false nails 'the thing to have' the only time I'd know of someone having press ons, they were on your girls with the bad attitude ready to finger snap you to death. Of course having that desire to being any of those, I toyed with press ons from in high school, I use to bite my nails, yucky, yes but oh well. Does anyone remember nail piercing? What was the deal there, seriously. Applying your own nails involved that tacky glue, forever was I prying my fingers apart. Once I had left high school I went to get them done professionally, Nathan my effeminate nail technician the process started, making sure the nails were clean of anything, filing, applying tips, filling them in, blah blah blah. What always put me off, of press ons, something attached to my nails using a sticker, yeah cos as rough and busy bodied as I can get, those nails will not withstand an hour. imPRESS have 36 designs to chose from, with easy application. Before application, find the correct size for each of your fingers, put them in order so you can make the application more precise and faster. 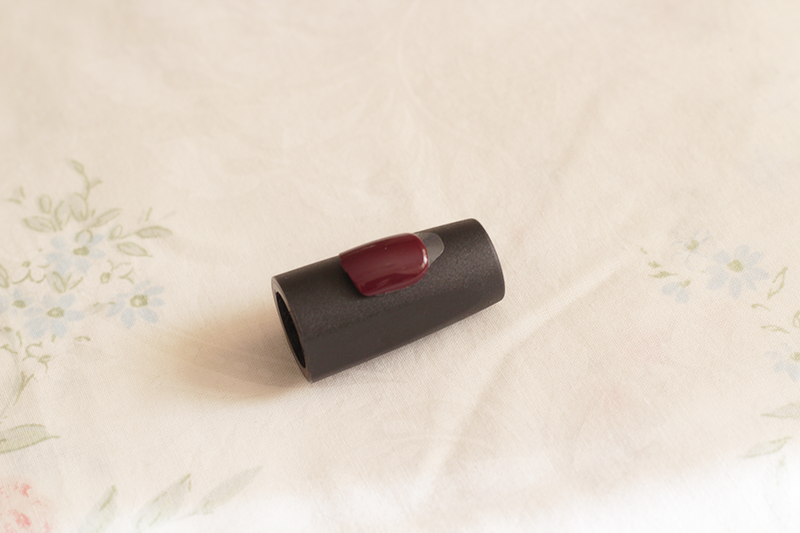 - this also helps with the longevity of keeping them on as the press ons have had full contact with your natural nail. Each nail has a tab, this is the end for your cuticles. Peel off the strip and press down from center and then the sides to make sure it's adhered to your nail bed. This is meant to give you 7 days wear. I got 5 before they started to loosen and drop off. I would wear these again being that they are easy and quick but right now I'm more interested in growing and strengthening my own. Such a lovely colour! I really like wearing imPRESS nails, but I usually remove them around 5 days later too, it irritates me when I can feel my hair slide underneath them! I love ImPress nails! I agree though, 5 days is more realistic, especially if you're doing a lot of manual things! The first time I wore them I thought they were going to fall off when I pulled up my jeans haha, but they are suprisingly strong!